Looks like it's finally happening. I've gone over the proof of my story. 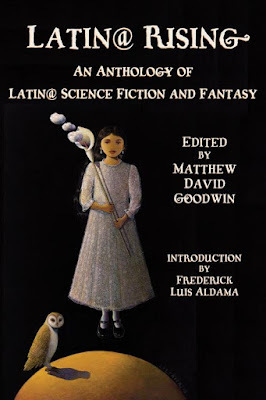 They have a beautiful cover by Liliana Wilson of Austin, Texas. And they paid me. 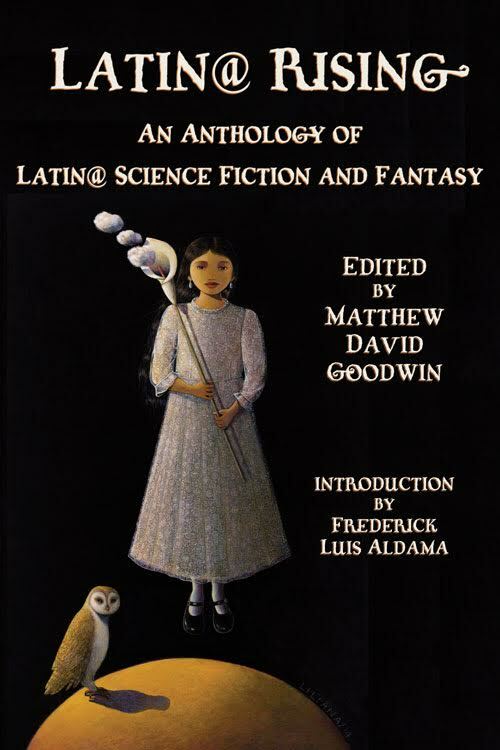 So, Tezcatlipoca willing, Mathew David Goodwin's Latin@ Rising, “the first-ever anthology of Latina/Latino speculative fiction (and poetry, and art)!” as Bryce Milligan, the publisher at Wings Press put it, will be a real happening thing. Among all the other Latin@ (does anybody know how to pronounce it?) speculative goodies, will be a new story by yours truly, “Flying Under the Texas Radar with Paco and Los Freetails.” It's another adventure of my character Paco Cohen, Mariachi of Mars, that is disturbingly close to certain political trends we see breaking out all over – damn, I really need to get back to novel about him . . . They're shooting for an early 2017 publication date. I just hope that this sort of thing is still legal after the U.S. presidential election. Really. Check it out in Chicanonautica, over at La Bloga. Look out academia! 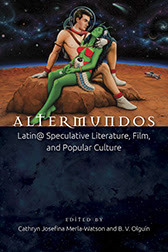 In December, Altermundos: Latin@ SpeculativeLiterature, Film, and Popular Culture edited by Cathryn Josefina Merla-Watson and B.V. Olguin will reprint the Dossier from Aztlan: A Journal of Chicano Studies, Volume 40, Number Two, Fall 2015, including my Chicanonautica Manifesto, plus some of my artwork, and some essays that discuss my work. The concept of literature as we know it is in for a serious warping. Order yours now if you want stay on top of this cultural transformation. Also, my academic allies, are you interested in getting my books into your campus bookstore? Let me know -- ernestohogan[at]gmail[dot]com -- and I'll enlist you in the conspiracy. Another Young Adult novel. I'm not a fan of the category. Back when I was in high school, during the Nixon administration, the YA label meant you were in for a propaganda piece that was designed by parental authorities to make you see the error of your ways and cut your hair, stay away from drugs, study hard, and become a productive member of society. So, of course I would run like hell and find something like Dangerous Visions, Zap Comix, or Tropic of Cancer to read. I didn't know what to expect from Daniel Haight's Flotilla. My prejudices had me hesitating. Then the author told me to prepare to have my mind blown. I like having my mind blown. It's what I look for in good entertainment. This guy thinks he can blow my mind with his novel? Let's see . 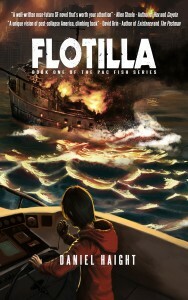 . .
Well, I'm happy to say that Flotilla is a certifiable mind-blower. 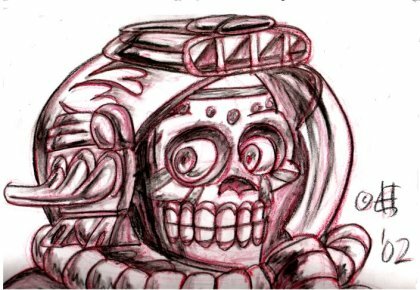 The teenage alcoholic hero, fresh out of rehab, goes working for, and with, his dad on Colony D, a mariculture complex of linked ships cruising the Pacific, both cultivating and harvesting fish. It's a fantastic world of its own, spawning rowdy subcultures. It's one of the most original and believable – you can practically smell it – visions of futuristic society I've seen in a long time, and I'm a bit of a junkie for these kind of things. And it's all about people who work for a living. Not just the sort of jobs nice kids from good families have to dress up in nice clothes for; these folks get dirty, soaking wet, and risk their lives. Working class science fiction! I love it! Haight describes himself as a “working class geek” – we need more like him. And if I can offer some advice to you youngsters out there, this is a good book to read right NOW. It shows how to survive in an ever-changing world, and deal with personal problems, and family. And when things get apocalyptic – it keeps happening, get used to it – you've got reflexes in place that will keep you from freezing up, maybe help you create a brave new world that's better than the one that's collapsing around you. You'll need those reflexes. No matter who wins the election.